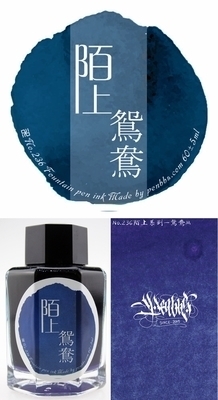 Part of the Countryside Series, Lovebird (M) is a blurple fountain pen ink with medium saturation. Lovebird (M) is based off Mandarin ducks which form lifelong couples with each other. There's also a female version of this ink!